Today I am bringing you the story of a sportsperson from the sport of Boxing. This boxer is none other than Cassius Marcellus Clay Jr. aka Muhammed Ali. Clay was born on January 17, 1942, in Louisville, Kentucky. He was named after his father, Cassius Marcellus Clay Sr. Ali had five siblings, a sister and four brothers. His father was a billboard painter, his mother Odessa O'Grady Clay, was a domestic helper. Ali attended Central High School in Louisville. Ali had problems in reading and writing as he was Dyslexic. Ali grew up in the US during times of severe racial segregation. Odessa once recalled that Ali was denied a drink of water at a store because of his colour. That really affected Ali a lot. Another event that affected Ali seriously was the 1955 murder of Emmett Till, which led to Ali taking out his frustration by vandalizing a local rail yard. At the age of 12, Ali's bicycle was stolen and he was fuming over the theft. Louisville police officer and boxing coach Joe E Martin found him in a state of fury and Ali told him, 'When I find the fellow I am going to whup him' to which Martin replied, 'In that case, you had better learn boxing first'. Initially, Ali was not inclined to take up Martin's offer but he happened to witness amateur boxers in a television show called "Tomorrow's Champions" and this piqued his interest in boxing. He then began training with Fred Stoner whom he gives credit for really training him by moulding his style and stamina. Ali made his boxing debut in 1954 against local amateur Ronnie O Keefe. He then proceeded to win six Kentucky Golden Glove titles, two national Golden Glove titles, an Amateur Athletic Union national title and the Light Heavyweight Gold medal in the 1960 Summer Olympics held in Rome. Ali debuted professionally on October 29, 1960, when he won a six-round bout over Tunney Hunsaker. By the end of 1963, Ali had amassed a record of 19–0 with 15 wins by knockout. During this period Ali defeated several renowned boxers including Tony Esperti, Jim Robinson, Donnie Fleeman, Alonzo Johnson, George Logan, Willi Besmanoff, LaMar Clark, Doug Jones and Henry Cooper. He also beat his former trainer Archie Moore in a match held in 1963. Ali's fight with Doug Jones held on March 13, 1963, was his toughest one during this stretch. Ali and Jones were the number two and number three heavyweight contenders, and the fight was held at Jones' home turf at New York's Madison Square Garden. This fight was later named "Fight of the Year" by The Ring magazine. Ali often belittled his opponents vocally and bragged about his abilities. He called Jones "an ugly little man" and Cooper a "bum". This kind of provocative behaviour in the ring was inspired by professional wrestler 'Gorgeous George' Wagner. Ali stated in an interview in 1969 with the Associated Press' Hubert Mizel that he had earlier met Gorgeous George in Las Vegas and the wrestler inspired him to use this kind of language when he did interviews. Earlier Moore had demanded that Ali perform menial chores like washing dishes and sweeping when Ali had trained with him. Ali refused and this led to his leaving Moore's training camp in 1960. Ali then hired Angelo Dundee to be his trainer. Ali also tried to secure the services of his longtime idol Sugar Ray Robinson to be his manager but was rebuffed. In 1963, Ali had become the top contender for challenging Sonny Liston's world championship title. The fight between the two was set for February 25, 1964, in Miami Beach. Though he was an underdog, Ali taunted Liston during the pre-fight buildup. Some of his statements were of a very nasty tenor. He called Liston 'the big ugly bear', stating that 'Liston even smells like a bear'. He also claimed, 'After I beat him I'm going to donate him to the zoo'. When the opening bell for the first fight rang, Liston rushed at Ali, looking for a quick knockout. But due to his superior speed and agility Ali managed to dodge Liston, making the champion miss. Ali then opened up his attack and hit Liston repeatedly with jabs. Liston fared slightly better in the second round. By the end of round four, when Ali was returning to his corner he began experiencing blinding pain in his eyes and asked, Angelo Dundee, his trainer to cut off his gloves. Dundee refused. Ali managed to survive the fifth round till the sweat from his own body and his tears managed to remove the irritation in his eyes. Liston was hit repeatedly in the sixth round by Ali. Liston failed to answer the bell for the seventh round, and Clay was declared the winner. Liston stated that he had quit because of an injured shoulder. When the match ended, a victorious Ali pointed to the ringside press and shouted: "Eat your words! I am the greatest! I shook up the world. I'm the prettiest thing that ever lived." At 22, Ali had become the youngest boxer to claim the world heavyweight title from a reigning champion. At that time, Floyd Patterson still remained the youngest to win the heavyweight championship at 21. Both the records were subsequently broken by Mike Tyson in 1986 when he defeated Trevor Berbick to win the heavyweight title at age 20. After his fight with Liston, Cassius Clay first changed his name to Cassius X and then became Muhammad Ali after converting to Islam and affiliating with the Nation of Islam. A rematch was held between Ali and Liston in May 1965 in Lewiston, Maine. During the first round, Liston was knocked down by a blow from Ali which was called a "phantom punch." as Liston could not see it coming. Liston was knocked down but the referee did not begin the count immediately as Ali refused to retreat to a neutral corner. After 20 seconds Liston rose, and the fight continued momentarily. But after a few seconds, the referee stopped the match and declared Ali the winner when he was informed by the timekeepers that Liston had been down for a count of ten. Many people argued that the match was thrown by Liston as his life had been threatened by the Nation of Islam. Other reasons touted for Liston throwing the game are that he had bet against himself and losing purposely would enable him to pay off debts. There is still some doubt if that blow by Ali was a genuine knockout punch. In 1965, Ali defended his title against Floyd Patterson who appeared injured during the match. After this victory Ali, founded his own promotion company Main Bout which handled Ali's boxing promotions and pay-per-view closed-circuit television broadcasts. The stockholders were members of the Nation of Islam and several others, including Bob Arum. On March 29, 1966, Ali and WBA heavyweight champion Ernie Terrel agreed to fight a bout in Chicago. This created a huge outcry and the Illinois Athletic Commission cited technicalities and refused to sanction the fight between Terrell and Ali. Ali then travelled to Canada and Europe and won several championship bouts against many renowned boxers. On February 6, 1967, Ali fought against Ernie Terrell in Houston. Terrell had remained unbeaten in five years and had emerged victorious against many of the boxers Ali had beaten. Terrell was a very big and strong man with a three-inch reach advantage over Ali. During the build-up to the match, Terrell repeatedly referred to Ali as Clay much to his annoyance. In a pre-fight interview, Ali did his best to humiliate Terrell. He made statements like, "I want to torture him" and "A clean knockout is too good for him". The match between Ali and Terrell proved to be a close contest till the sixth round but in the seventh Ali almost knocked Terrell out. Ali then proceeded to taunt Terrell in the eighth round hitting him repeatedly and shouting, 'What's my name, Uncle Tom ... what's my name?' Critics described this bout as 'one of the ugliest boxing fights'. Tex Maule wrote: 'It was a wonderful demonstration of boxing skill and a barbarous display of cruelty'. Ali denied that he had been cruel. 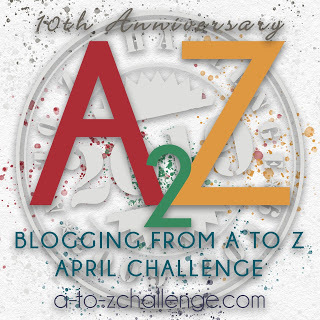 Ali then defended his title against Zora Folley. After this, he was stripped of his title as he refused to be drafted into army service. His boxing license was suspended by the state of New York. He was convicted of draft evasion and sentenced to five years in prison and a $10,000 fine. He paid the money and remained free while the verdict was being appealed. After repeated appeals, his conviction was overturned in 1971. The main reason for this was the fact that by then there was growing opposition to the Vietnam war in the US as people were beginning to tire of it. During the time he was in exile due to his licence being suspended, Ali spoke up against the Vietnam war openly and appealed for peace. Ali then fought what came to be dubbed as 'The fight of the century'. His opponent was Joe Frazier who was also an undefeated fighter. This fight was held at Garden on March 8, 1971. John Condon called it 'the greatest event I've ever worked on in my life'. The bout was broadcast to 35 foreign countries. The fight lived up to its expectations. Frazier was crouching and bobbing and getting hit by Ali's jabs but he was landing a lot of body-blows on Ali and constantly scoring. Ali was taking a lot of punishment from Frazier. In the 11th round, Frazier landed a left hook on Ali which made Ali wobble. But Ali was not knocked out and Frazier failed to press his advantage. But again in the 12th round, Frazier knocked Ali out with a vicious left jab which the referee said was the hardest hit he had ever seen a man take. Ali lost by unanimous decision. This was his first professional defeat. Ali's jaw was broken by Ken Norton in 1973 and Ali received the second loss of his career. Ali was considering retirement for some time but he won a second bout against Norton which gave him a rematch against Frazier. 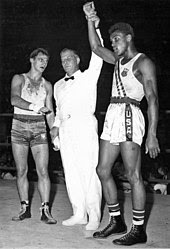 In a very controversial match in which Frazier's supporters complained bitterly, Ali was declared the winner by unanimous decision. The victory over Frazier led to the bout against World Heavyweight Champion George Foreman which was held in Zaire on October 30, 1974. This match was termed the "Rumble in the jungle". Foreman was considered one of the hardest punchers of the game. In this match, Ali used a very unconventional technique in boxing which was later dubbed 'Rope-A-Dope'. In the second and further rounds, Ali kept backing off to the ropes inviting Foreman to hit him. This was very much against conventional boxing wisdom. In anger, Foreman kept trying to throw punches at Ali which Ali deflected and this resulted in tiring out Foreman. After Foreman was totally tired, Ali moved in and started throwing punches. In the eighth round, Ali managed to knock out Foreman and unbelievably Ali had regained the title by knockout. Foreman later commented, "I thought Ali was just one more knockout victim until, about the seventh round, I hit him hard to the jaw and he held me and whispered in my ear: "That all you got, George? I realized that this ain't what I thought it was." Ali participated in an exhibition bout in Tokyo against Japanese wrestler and martial artist Antonio Inoki. Ali managed to land just two jabs while Inoki's kicks caused two blood clots. This resulted in an infection that almost made it necessary to amputate Ali's legs in order to save his life. Eventually, no amputation was needed. The match was not scripted and was declared a draw. This was declared Ali's least memorable fight. After this Ali finally retired. Regarding his personal life, Ali married four times and had seven daughters and two sons. His first wife was cocktail waitress Sonji Roy and this marriage was childless. It ended in a divorce, as Ali could not tolerate the fact that Sonji would not follow the strictures laid down for women by Islam. He then married Belinda Boyd with whom he had four children. She converted to Islam and also affiliated to the Nation of Islam. She also changed her name to Khalilah Ali. While still being married to Khalilah Ali, Ali had an extra-marital affair with a girl named Wanda Bolton who was just 16 years old. She changed her name to Aishah Ali and they got married as per an Islamic Ceremony which was not legally recognized. He fathered a child Khalilah with Alishah. Later in 1985, Aishah sued him for Palimony and Ali agreed to a settlement of $200,000 in a trust for Khalilah. Ali had an extra-marital relationship with Patricia Harvell and had a daughter Miya with her. By the end of 1977, his marriage with Patricia was over and he married Porche. He had two daughters with Porche. He then married Yolanda Williams in 1986 and they adopted a son Assad Amin. "Cassius Clay is my slave name"
Ali had gone on a Hajj pilgrimage to Mecca in 1972, which inspired him a lot. He met people of different colours from all over the world. This gave him a totally different sense of spirituality and a very different outlook on life. In 1977, he said that, after he retired, he would dedicate the rest of his life to getting 'ready to meet God' by helping people, charitable causes, uniting people and helping to make peace. He went on another Hajj pilgrimage to Mecca in 1988. In 1984 Ali was diagnosed with Parkinson's disease. Ali was a philanthropist and was also known for being humanitarian. On January 19, 1981, Ali stopped a suicidal man from jumping off a ninth-floor ledge in Los Angeles. This event made national headlines. In 1984, Ali announced his support for the re-election of United States President Ronald Reagan. Ali's total prize money was nearly $60 million (inflation-adjusted $311.6 million). Ali was broke by 1978 and in 2006 Ali sold his name and image for $50 million. Ali was hospitalised in Scottsdale with a respiratory illness on June 2, 2016. His condition worsened gradually and he died the next day at the age of 74 from septic shock. Ali was mourned globally and was paid rich tributes by politicians like Barack Obama, Bill Clinton, Hillary Clinton. Donald Trump and several others. I hope you enjoyed reading about this world champion boxer. Tomorrow I will be back with the story of yet another sportsperson. Yes, funny how all these sports-persons mess up their personal lives isn't it? He was a truly great boxer though. Another new name for me and another great post. An inspiring journey be had. Muhammed Ali was a dyslexic is news to me. I think he had come to India and remember his photo in TOI. His daughter Lailah Ali too entered the boxing ring. Yes, he had a reading/writing disability. Thanks for visiting. Thanks for sharing this inspiring journey of Md. Ali. 'Float like a butterfly, sting like a bee. His hands can't hit what his eyes can't see'my favorite quote by Ali. He was flawed, he was arrogant but he won our hearts! So happy to read such an honest ode to him, Jai. Also, I had no idea he called his opponents rude names to rile them. Oh! I forgot to mention those words of his in the post. Glad you brought it up. Yes, very arrogant but likable in his own unique way. He is one of the most iconic sportsperson and I must say, he gas a got a great story. Thanks for visiting and the comment Shubra. Great post on an iconic sportsman. You have presented all the details wonderfully. He was my father's fav sportspersons. I am a fan of his discipline and hard work. Nice detailed post. Selling name that is something new I read today. It makes me sad to see how sportsman cannot keep their personal life clean. Yes, so many sports-persons cannot maintain their equanimity after retirement and just fritter away their wealth in frivolous pursuits. Thanks for visiting.